Home About Us Sacraments Anointing of the Sick When Is the Anointing of the Sick Celebrated? If you are seriously ill or will be undergoing surgery, you are encouraged to receive the sacrament of Anointing of the Sick. It is available to any individual at any time. If you call the church, Father Steve will be happy to come to your home or hospital room. At Holy Martyrs, many people receive the sacrament prior to surgery or admission to the hospital. It is celebrated after any weekday or weekend Mass in our chapel, where family members and friends can pray with them. When the sacrament is celebrated in this way, it not only expresses Christ’s healing presence for the sick person but offers reassurance to those who care about them. 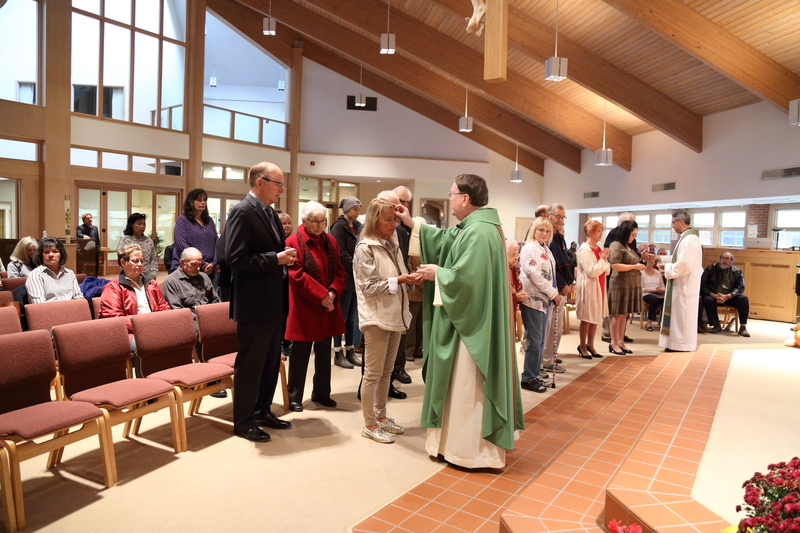 The sacrament can also be celebrated at Mass with the entire community present. This is a powerful experience of the whole community praying for its sick members. At Holy Martyrs, the sacrament of Anointing of the Sick is celebrated communally during the weekend liturgies twice a year, in Fall and Spring. Father Steve will be happy to come to your home or hospital room at any time to anoint anyone who needs it. Simply call the parish office at 330.722.6633.